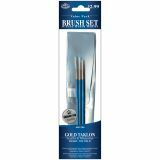 Gold Taklon Value Pack Brush Set - ROYAL LANGNICKEL-3 paintbrushes with a free brush wallet. 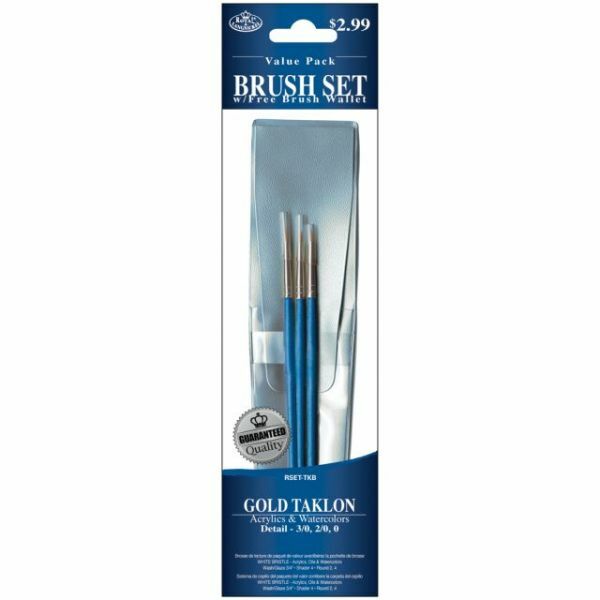 Includes 3 Detail Gold Taklon brushes in size 3/0, 2/0, and 0. All have blue handles. For acrylics, watercolors, and temperas.